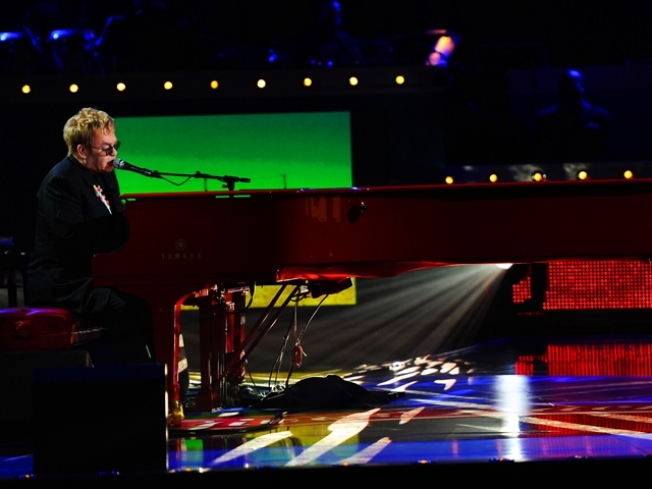 Sir Elton John and Lee Hall are reportedly teaming up again to write a new musical based on George Orwell's satirical classic "Animal Farm." The two brought "Billy Elliot" onto Broadways' Great White Way , earning 10 Tony Awards for the musical. "I'm deep into it, writing songs for pigs and other four-legged friends," said Hall to The Daily Mail. He added that the animals' Seven Commandment creed like, "all animals are equal, but some animals are more equal than others," make for great lyrics. "Animal Farm," an allegory first published in 1945, tells the story of a "worker's revolt" during the Stalin Era in the Soviet Union and events leading up to World War II. To tun the famous novella into a musical reality, Hall said it took about two years to secure the various rights to the work of Orwell, and is still waiting on one more license. Hall expects another two years of production before the show will hit the stage.